Limited Production Watch Now in Stock! Up until this point, virtually all watches in the Sinn 103 Collection have been finished with highly polished cases. 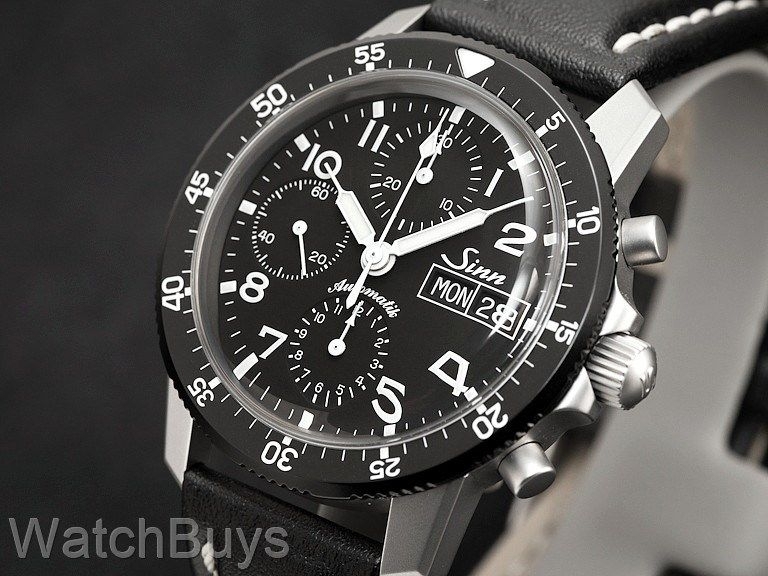 This watch is fitted with a Sinn calf leather strap and matte tang buckle. 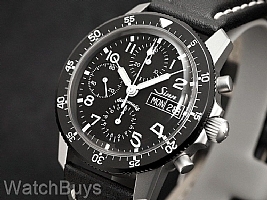 "Tool Watch with Style at A Value Price"
Verified Owner Comments: Yes, you can get another brand of Valjoux 7750 watch somewhere else for less, but it wouldn't have anywhere near the time proven design elements - sorry for the bad pun - that have made the Sinn 103 so popular for many years. The matte finishing of this watch helps to minimize scratches which is a feature I like. Accuracy is around +3 seconds a day, within COSC standards even though it is not chronometer rated.